Gareth Southgate has spoken of how his Commando grandfather taught him the English spirit and principles necessary to lead the World Cup squad. The England manager joined Bear Grylls on a 28-mile trek across the unforgiving moorlands of Dartmoor for the survival expert’s ITV programme Bear Grylls’ Mission. Southgate, who masterminded the Three Lions’s progress to the semi-finals at the World Cup in Russia, said the “small lessons” he learned from his grandfather had fed into his “English spirit”. He told the former SAS serviceman: “He had a big impression on me as a kid. Just his standards. “I’m forever getting stick at home because I’m always polishing my shoes. Southgate previously took the England squad to train with the Royal Marines at Dartmoor in Devon. He told Grylls he had hoped the visit would teach them there were others who experienced more pressure than them. He said: “I love going out of my comfort zone. It’s so nice to be away from the madness of the job. “People talk a lot about pressure in our field but we wanted the lads to see something different and realise that our pressure wasn’t really as extreme as other people’s. He recounted his debut match as part of the England squad but said Grylls’s challenges had scared him more. Earlier that day the former centre-half had abseiled a cliff face, saying afterwards it was the most “terrifying thing” he had ever done. He said: “To run out at Wembley and hear the crowd. It’s very, very special. I was nowhere near as nervous then as I have been today. “When it’s football, you’ve trained all your life, you’ve played all your life. 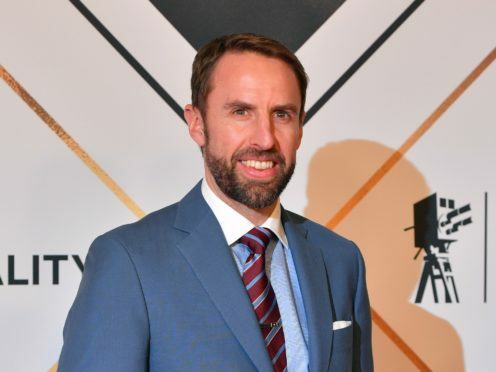 Southgate’s traversed rocky moorland, abseiled a fort and rappelled a cliff face while being airlifted by a Royal Marines Chinook helicopter on the show.